The Countless Craters Helicopter Tour will introduce you to unworldly volcanic landscapes of Iceland! See countless craters fomr above. The Countless Craters Helicopter Tour will introduce you to unworldly volcanic landscapes of Iceland! 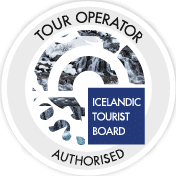 During the tour you’ll encounter the impressive view of countless craters, Seltún geothermal area, Blue Lagoon Spa and the rugged coastline of south-east Iceland. Start your trip from Reykjavik Domestic Airport, just 5 minutes drive from the center of the city. Once up in the air, be ready for quickly changing the urban views of Reykjavik to scenic sights of the nature of Iceland. This trip takes you through rough but magical volcanic landscapes that Iceland is known for. You will fly over countless volcanic craters and every one of them will seem better than the one before. Use the chance to peek into a crater from a helicopter and see it in its whole glory. We can guarantee that the view is exceptional! Continue your journey to the rugged coastline of the Reykjanes peninsula. The pilot will land the helicopter by a crater in the middle of a lava field. Use the chance and take some breath-taking photos. When that is done, take a good look around and breathe in the fresh air that comes from the ocean. This trip concludes with a return to the base in Reykjavik and getting a one last look at the city center from above. This tour is operated by our friends at Norðurflug. They are the biggest helicopter company in Iceland and offer an array of exciting helicopter adventures. Their aim is always to provide exceptional customer service and create memorable experiences.